Photo left via tvtropes.org; photo center via allposters.com; photo right via impawards.com. There's nothing like a vision of a world gone to hell to get the point across. Movies--especially fantastic movies--have the power to hit messages home with people around the world, regardless of class, race, or socio-economic background. In these nine post-apocalyptic movies (and one tv episode), ranging from the 1960's until next month (one's not released yet) the death destruction, and general bleak futuristic visions are all based on environmental disasters. A note on the selection process: Don't expect to see "Waterworld". Bombs, even with savvy green messages, didn't make the cut. Disagree or think I missed something? Fire away in the comments. Oh, and this list is filled with spoilers. Chances are you've seen at least one of these totally original cyberpunk flicks. So why do sentient machines trap humans in the Oscar-winning "Matrix series"? It's a familiar problem to us: an energy shortage. At first, the sentient machines were quite green by TreeHugger standards, tapping solar power. But when they tried to take over the world, the humans fought back by blocking the sun with dark clouds. Then the machines decided the humans could be the power..and developed a system, also quite green, to take energy from humanity's heat and brain's electrical activity. Unfortunately, that left humans living a false reality inside of the Matrix. Nominated for three Academy Awards, Children of Men (check out the trailer here) takes place in a future where no children have been born for the last 18 years. While it is not totally clear why there are no pregnancies, one of the theories presented by character Jasper Palmer (Michael Caine) is pollution, and a few scenes point to this. In one shot, small motorized vehicles that look like tuk-tuks, more common in Asia, are seen emitting heavy exhaust fumes on the streets of London. In another, the landscape is interrupted by several smoke stacks, apparently from factories. The subdued nature of this film, and the quietly heroic Theo Faron (the smoldering Clive Owen) make it particularly powerful. Androids might have human qualities, and Rick Deckard (Harrison Ford of chest-waxing fame) might be a replicant (much debated). 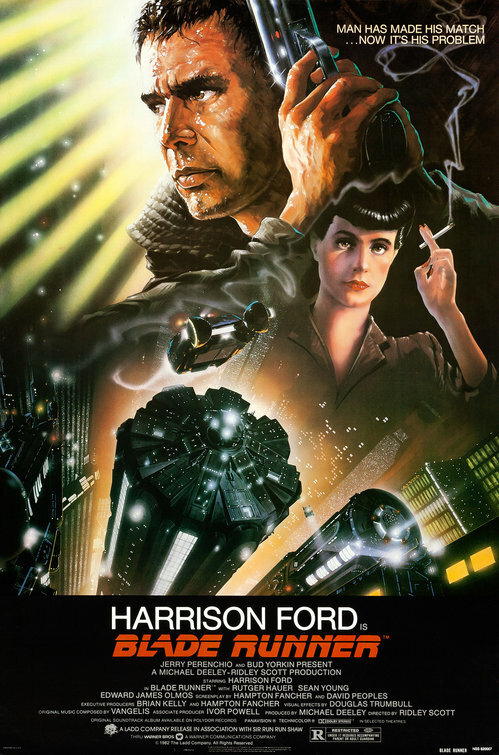 Either way, the cult classic "Blade Runner" displays a dark future in which humanity is struggling in a bleak, overpopulated industrial world. While like in "Children of Men," it is not specifically clear what changed the landscape for the worse, pollution and global warming are suggested and most animals are extinct (one of the first to go was the owl). Fuel is scarce in the world of "Mad Max," and in particular in "Mad Max 2" and "Mad Max Beyond Thunderdome," has led to the general destruction of society. Governments collapse, and anarchy reigns, with the major forces being two warrior tribes fighting over oil, leaving massive casualties in their wake. It's a dog-eat-dog kind of world, and it seems only Max Rockatansky (Mel Gibson, who's down with rubber recycling) is there to fight the bad guys.